This article shows what achievements have been made by existing studies on graduate employability, and what gaps need to be filled in this field. It starts with a retrospective account of the changing concept of employability, followed by a presentation of the practices that have been used to support graduate employability enhancement in different countries. 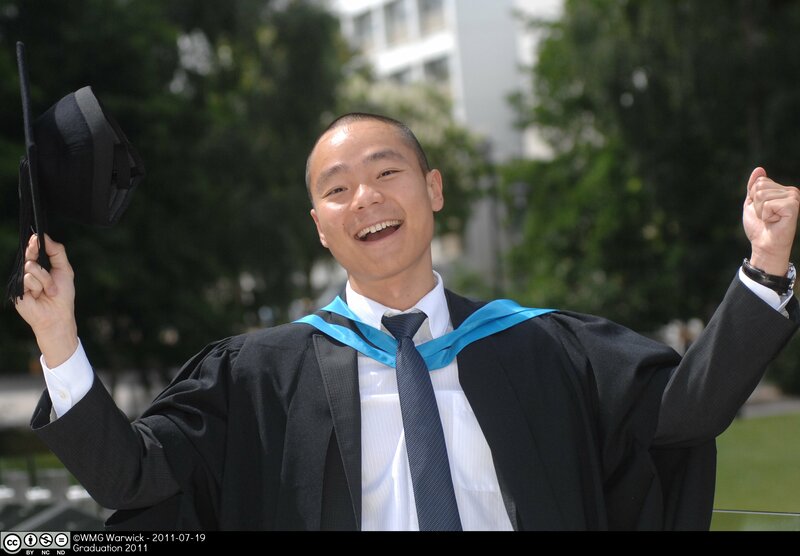 Moreover, this article gives a critical review of Chinese contexts of graduate labour market. Last but not least, limitations of existing studies are identified, which reflect an expectation for future research on graduate employability to meet the demand of an increasingly international dimension of higher education. Aliaga, A. O. (2001) Human capital, HRD and the knowledge organization, in O. A. Aliaga (ed.) Academy of Human Resource Development 2001: Conference Proceedings, Baton Rouge, LA: AHRD, pp. 427 – 34. Andrews J, Higson H. (2008) Graduate employability, ‘soft skills’ versus ‘hard’business knowledge: A European study[J]. Higher education in Europe, 33(4), pp. 411-422. Barrie, S. C. (2006). Understanding what we mean by the generic attributes of graduates. Higher Education, 51, pp. 215–241. Becker, G. S. (1993) Nobel lecture: the economic way of looking at behavior, Journal of Political Economy, 101, pp. 385 – 409. Bills, D. B. (2003) Credentials, Signals, and Screens: Explaining the Relationship between Schooling and Job Assignment. Review of Educational Research, 73(4), pp. 441–449. Brown, P., A. Hesketh, and S. Williams (2003) Employability in a Knowledge-Driven Economy. Journal of Education and Work, 16 (2), pp. 107–126. Brown, P., A. Hesketh, and S. Williams (2004) The Mismanagement of Talent: Employability and Jobs in the Knowledge Economy. Oxford: Oxford University Press. Collins, R. (1971) “Functional and Conflict Theories of Educational Stratification.” American Sociological Review, 36, pp. 1002–1018. Cranmer, S. (2006) Enhancing graduate employability: best intentions and mixed outcomes, Studies in Higher Education, 31(2), pp. 169-184. Cui, X. (2015) Investigating the problems of graduate employment in Shandong from the perspective of governments. Dissertation for master`s degree in Shandong University. Dai, X. (2014) Investigating the influence of sense of self-efficiency on enhancing the employability of graduates from poor families, Modern Enterprise Eduation, 16, pp. 238-239.
http://www.eol.cn/html/lx/2014baogao/content.html [Accessed on 10 Dec 2015]. Engelbrecht, H. (2003) Human capital and economic growth: cross-section evidence for OECD countries, Economic Record 79 (Special Issue), pp. 40 – 51. European Council (2012), “Council conclusions of 11 May 2012 on the employability of graduates from education and training: 2012/C 169/04”, European Union, Luxembourg, June. Fan, C., Sun, X., Bai, L. and Liu, R. (2011) Investigating the Chinese policies of graduate employment and enhancing graduate employability, Youth literator, 21. Forrier, A. and Sels, L. (2003) The concept employability: A complex mosaic [J]. International journal of human resources development and management, 3(2), pp.102-124. Fugate, M. (2006) Employability in the new millennium. In J. H. Greenhaus & G. A. Callanan (Eds. ), Encyclopedia of career development (pp. 267–270). Thousand Oaks, CA: Sage. Furlong, A. and F. Cartmel. (2005) Graduates from Disadvantaged Families: Early Labour Market Experiences. Bristol: The Policy Press. Goodman, D. (2008) The new rich in China: Future rulers, present lives. Oxford: Routledge. Guilbert, L., Bernaud, J L. and Gouvernet B. (2016) Employability: review and research prospects[J]. International Journal for Educational and Vocational Guidance, 16(1), pp. 69-89. Harvey, L. and Bowers-Brown, T. (2004) Employability cross-country comparisons, Graduate Market Trends, Winter 2004/5. Hendricks, L. (2002) How important is human capital for development? Evidence from immigrant earnings, American Economic Review, 92(1), pp.198 – 219. Huang R. (2013) International experience and graduate employability: Perceptions of Chinese international students in the UK[J]. Journal of Hospitality, Leisure, Sport & Tourism Education, 13, pp. 87-96. Ito, H. (2014) Challenges towards Employability: Higher Education's Engagement to Industrial Needs in Japan[J]. Higher Education Studies, 4(2), pp. 1. Jackson D. (2016) Re-conceptualising graduate employability: the importance of pre-professional identity[J]. Higher Education Research & Development, 35(5), pp. 925-939. Kalfa, S., and Taksa, L. (2015) Cultural capital in business higher education: Reconsidering the graduate attributes movement and the focus on employability. Studies in Higher Education, 40, pp.580–595. Knight P T. (2001) Employability and quality[J]. Quality in Higher Education, 7(2), pp. 93-95. Li, C. (2012) Competency and Employability: the ways of cultivation of female graduate vocational abilities. Journal of Changsha University, 26(3), pp. 131-145. Li, H. (2016) The Research on How to Cultivate the Employ-ability Skills of Female Students in Universities. Journal of Xichang College· Social Science Edition, 28(2), pp.115-118. Li, Z. (2013) A critical account of employability construction through the eyes of Chinese postgraduate students in the UK, Journal of Education and Work, 26(5), pp. 473-493. Liu, Q. (2011) The research on female graduate employability under the background of popularity of higher education. Dissertation for Master`s Degree in JiangXi University of Science and Technology. McKnight A. (1999) Graduate employability and performance indicators: first destinations and beyond[M]. CSU Limited. McQuaid, R. W., and C. Lindsay. (2005) The Concept of Employability. Urban Studies, 42 (2), pp. 197–219. Moore, T., and Morton, J. (2017) The myth of job readiness? Written communication, employability, and the ‘skills gap’in higher education. Studies in Higher Education, 42(3), pp. 591-609. Morrison, A. (2014) A class act? Lecturers’ views on undergraduates’ employability, British Journal of Sociology of Education, 35 (4), pp. 487-505. Murphy, R. (1988) Social Closure: The Theory of Monopolization and Exclusion. Oxford: Clarendon. Nafukho F. M., Hairston N. and Brooks K. (2004) Human capital theory: Implications for human resource development. Human Resource Development International, 7(4), pp.545-551. Nauta, A., Vianen, A., Heijden, B. Dam, K. and Willemsen, M. (2009) Understanding the factors that promote employability orientation: the impact of employability culture, career satisfaction, and role breadth self‐efficacy[J]. Journal of Occupational and Organizational Psychology, 82(2), pp. 233-251. Olaniyan D. A. and Okemakinde T. (2008) Human capital theory: Implications for educational development, Pakistan Journal of Social Sciences, 5(5), pp. 479-483. Ortiga, Y. Y. (2015) The flexible university: higher education and the global production of migrant labor. British Journal of Sociology of Education, pp. 1-13. Parkin, F. (1979) Marxism and Class Theory: A Bourgeois Critique. London: Tavistock. Pollard, E., R. Pearson, and R. Willison. (2004) Next Choices: Career Choices beyond University. Brighton: Institute for Employment Studies (IES) 405. Psacharopoulos, G and M. Woodhall (1997) Education for Dvelopment: An Analysis of Investment Choice. New York: Oxford University Press. Rae, D. (2007) Connecting enterprise and graduate employability: challenges to the higher education culture and curriculum?. Education+ Training, 49(8/9), pp. 605-619. Ren (2005) Considerations of developing graduate employability, Education and Vocation, 6, pp.49-50. Sakamota, A. and Powers, P.A. (1995) Education and the dual labour marker for Japanese men in American Sociol. Rev., 60(2), pp. 407-414. Schultz, T. W. (1971) Investment in Human Capital. New York. The Free Press. Singh, G. K. G., and Singh, S. K. G. (2008) Malaysian graduates’ employability skills. UNITAR e-Journal, 4(1), pp. 15-45. Smith, J., McKnight, A., and Naylor, R. (2000) Graduate employability: policy and performance in higher education in the UK. The Economic Journal, 110(464), pp. 382-411. Sun, F. (2009) Investigating the cultivation of graduate employability under the background of financial crisis, Henan Social Sciences, 17(5), pp. 210-212. Tomlinson, M. (2008) ‘The Degree is Not Enough’: Students’ Perceptions of the Role of Higher Education Credentials for Graduate Work and Employability. British Journal of Sociology of Education, 29 (1), pp. 49–61. Tomlinson, M. (2010) Investing in the Self: Structure, Agency and Identity in graduates’ Employability. Education, Knowledge and Economy, 4 (2), pp. 73–88. Wagner, T. (2008) Global achievement gap: Why even our best schools don’t teach the new survival skills our children need and what we can do about it. New York: Basic Books. Wang, Q., Taplin, R. and Brown, A.M. (2011) "Chinese students' satisfaction of the study abroad experience", International Journal of Educational Management, 25 (3), pp. 265 – 277. Wang, Z. and Zou, X. (2006) Study on the educational work on employability of graduates from poor families, Pioneering with Science & Technology Monthly, 5, pp. 120-121. Wen, Y. (2015) Study on Ways to Increase Ethnic University Students’ Employment Ability under the Background of Economic New Normal———Analysis Based on Questionnaire. Journal of Research on Education for Ethnic Minorities, 5, pp. 21-25. Wu, J. (2010) Study on employability of female undergraduate based on the boundaryless career theory, Dissertation for Master`s Degree in Donghua University. Yan, D. (2007) Study on the contracture and attributors of graduate employability, Qinghai Social Sciences, 6, pp. 28-31. Zhang, H. (2014) Research on Employment Competency of College Students from Poor Families, Journal of Northeastern University (Social Science), 16(5), pp. 486-491. Zhang, T. and Jiang, Y. (2009) Study on policies of graduate employment based on the employability. Human Resource Development of China, 7. Zhao, P. (2015) Research on the difficulty of graduate employment in low-developed regions—take the Shangluo College as an example. Dissertation for master`s degree in West North University. Zhou, Y. and Todman, J. (2008) Chinese Postgraduate Students in the UK: A Two-Way Reciprocal Adaptation, Journal of International and Intercultural Communication, 1(3), pp. 221-243.